first... DISCLAIMER: Repairing a seat belt should ONLY be done if the seatbelt has never been in an accident, DO NOT re-stitch webbing. Take no risks with the safety features in your car, seatbelt primarily. This thread should be considered informational only. Next. Hi everyone, I'm new here, just got my TR6 last Wednesday and don't even have it running yet (see my hello thread with photos and everything in the newbie forum!) but I figured that I could try to contribute something useful to the community as soon as possible. 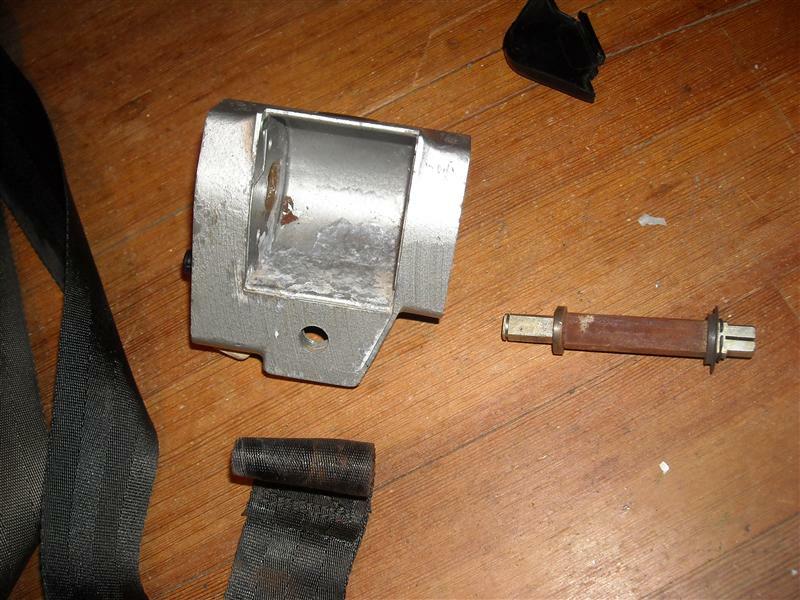 Last night I rebuilt the two stock kangol reflex seat belts and took photos all along the way. This post is split into a few postings because of photo content. 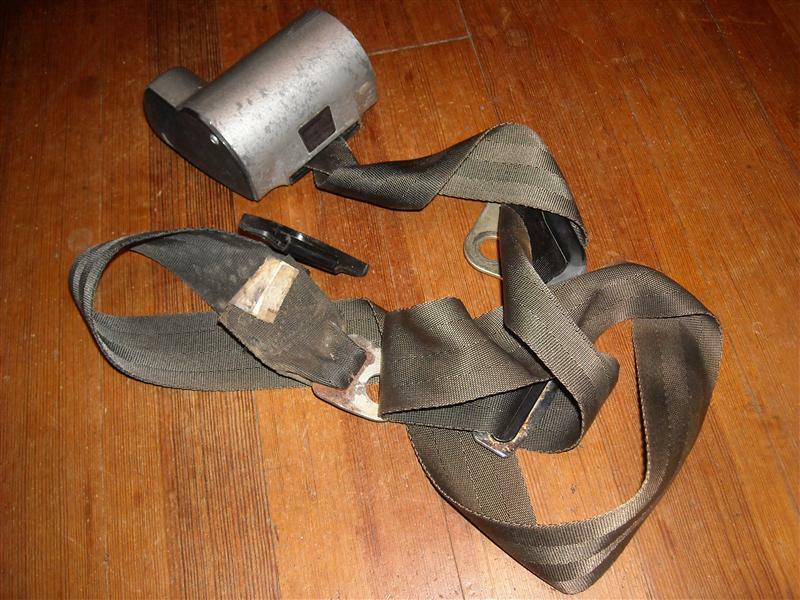 The original stock Kangol Reflex seat belts in my TR6, as with many old retractable set belts, had become worn such that the springs didn't have enough tension to pull the belts back, and the mechanisms would catch whenever trying to pull the seat belt out to put it on, so much that the belts were not really usable. 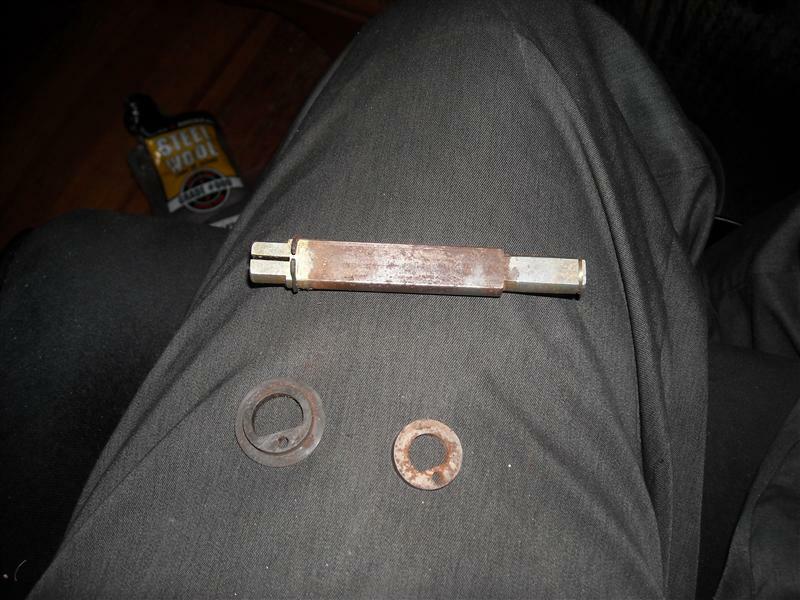 The tools required for this are a #2 phillips head screwdriver, a pair of pliers, a ratchet to remove the seatbelt from the car, and potentially a pair of C clamps if your spring needs re-coiling. After removing the three retaining bolts from the car you're going to have a pile of belt. 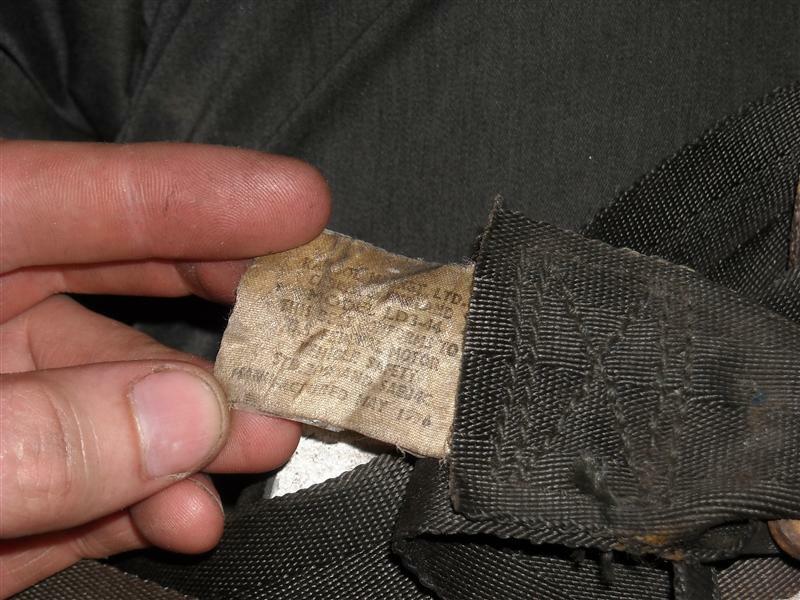 The first thing you should do is inspect the webbing for any signs of wear or torn stitching. 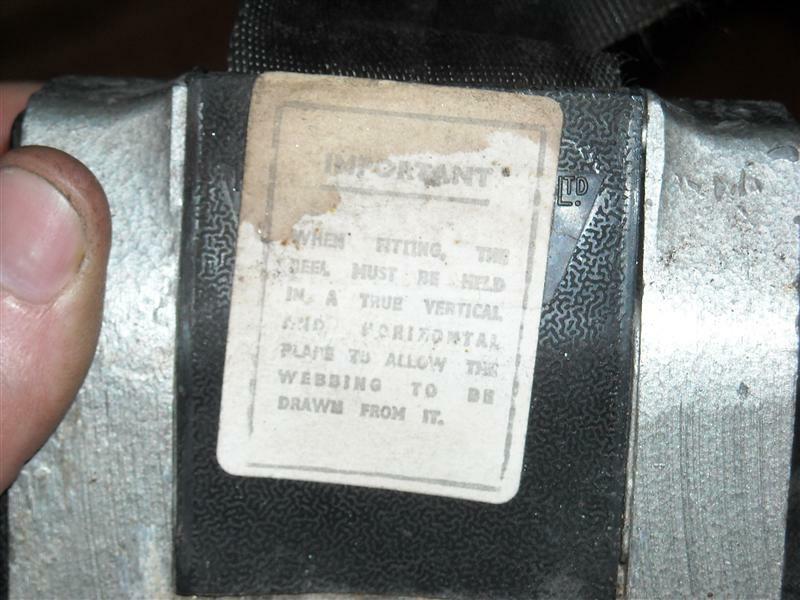 If you find any, do not reuse that belt. 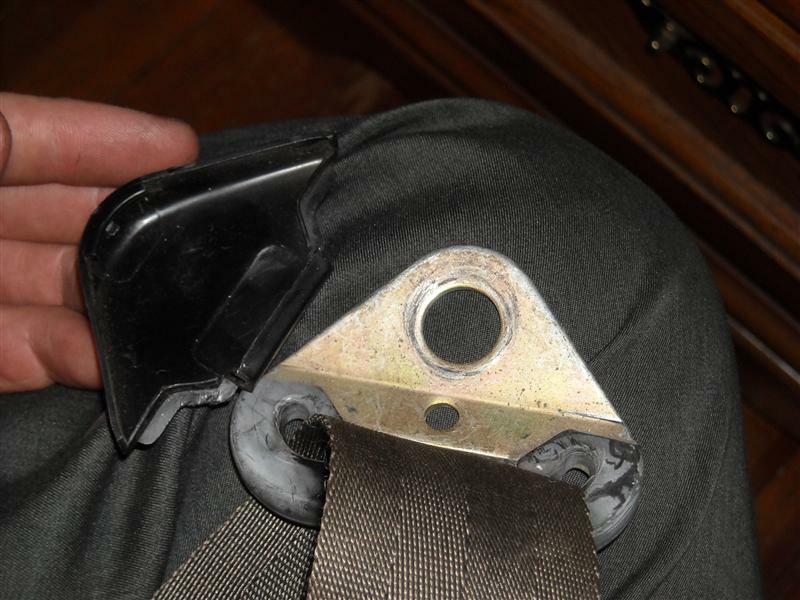 The cover for the shoulder pivot clips around the front and back. Don't be afraid to give it a good tug when removing it to get it off. Next looking at the seatbelt, this is the end with the spring in it, if cleaning the dirt out of the wrapper wasn't enough to get the spring tension you want, you may have to mess with this. It can be very time consuming and difficult to re-coil one of these springs, but is likely necessary to get the tension that you want, rather than just tightening the spring further without re-coiling it. This end has the actual tilt-lock ratcheting reel mechanism. Carefully remove one screw from the spring side, and loosen (but don't remove) the other screw enough to slide the plate out of the way and inspect the spring. 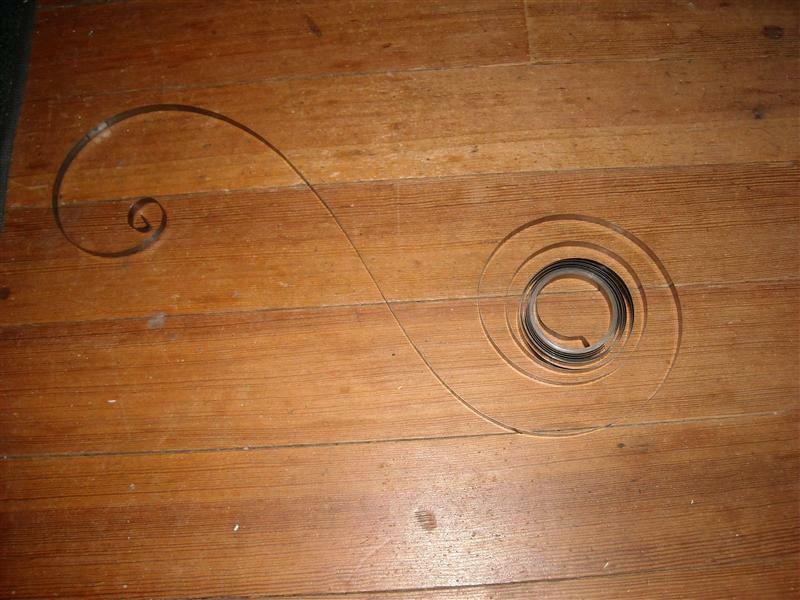 In this photo we can see the spring worn out by how it's wound unevenly, tight at the center and loose at the outside. This spring is going to need re-coiling to get uniform tension in it and better spring action. 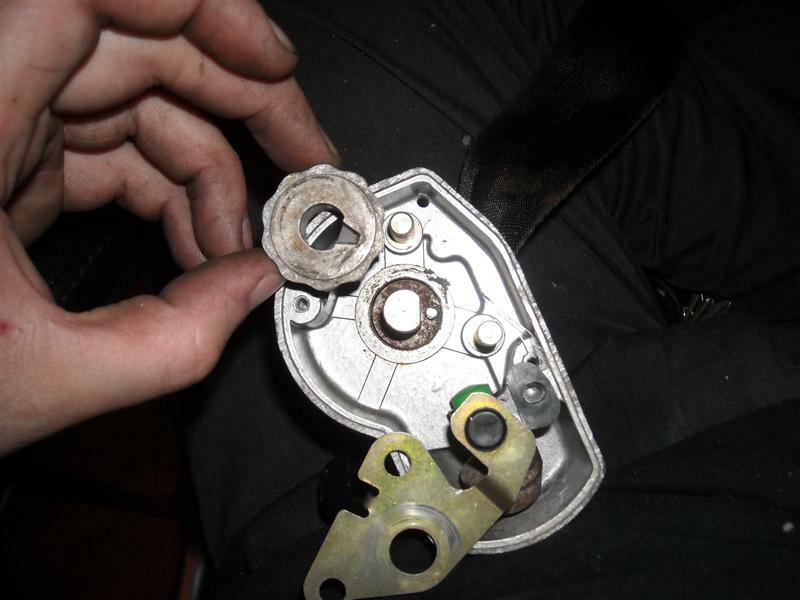 If you were to just tighten this spring as is, you wouldn't be able to turn it much because the center of the coil is bound, and thus you wouldnt be able to eliminate the looseness in the outer part of the spring. This is what happens if you're not careful when removing the spring cover. The spring may not have enough tension to pull your belt in, but it's still under tension, and will jump out and get into a huge tangled mess. Since the spring in this one is out for re-coiling. 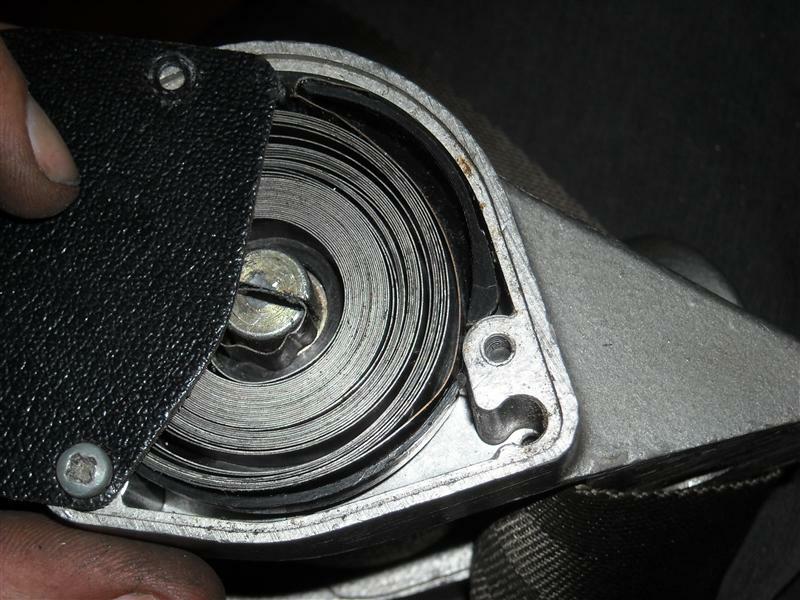 pull the plastic spring housing out of the seatbelt frame and clean the inside so that dust and dirt don't cause uneven tensioning of the spring again in the future. You can leave the retaining clip here alone. 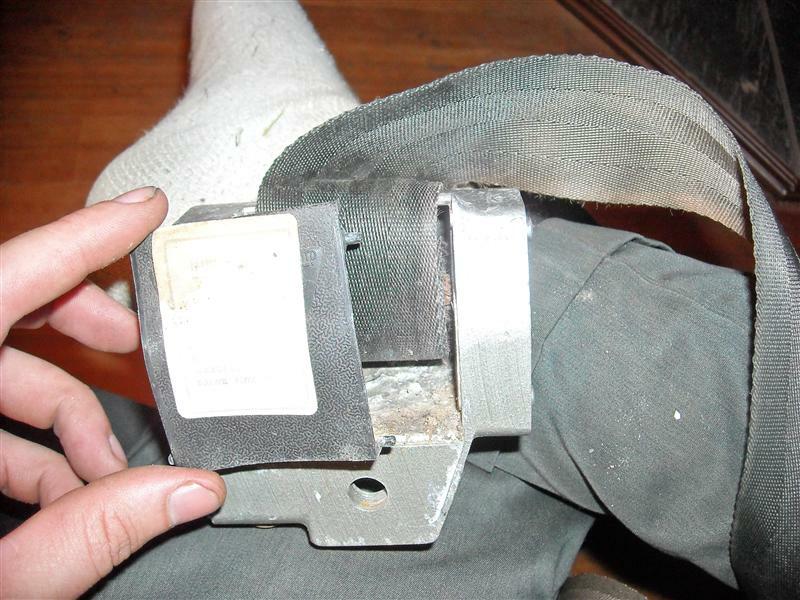 Underneath the clip is a plastic bushing that keeps the center rod in place. Spend some time to get the spring untangled before you attempt to re-wind it. Take note that the direction that the spring will want to coil in is the oposite of the way it is actually wound inside the seatbelt. Removing the other faceplate, we can see the complete mechanism for the belt. There are two small retaining rings and one large retaining ring that will have to be removed to continue. Take extreme care not to lose either of the small retaining rings. Remove the metal ratchet tooth and ratchet gear. 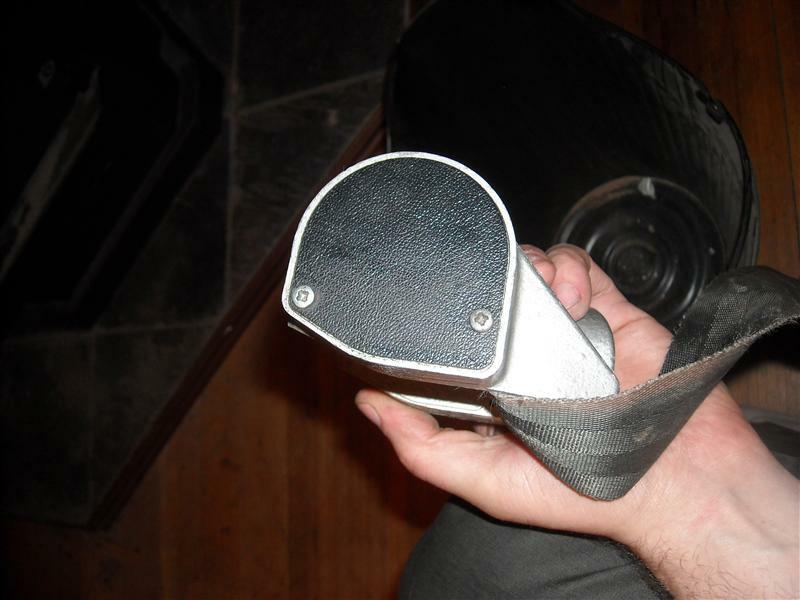 Under the gear you will see a pin standing up, and a corresponding slot in the gear to allow for the pin to stand proud. This is the pin that we need to remove to allow the center to turn without rolling up the belt. 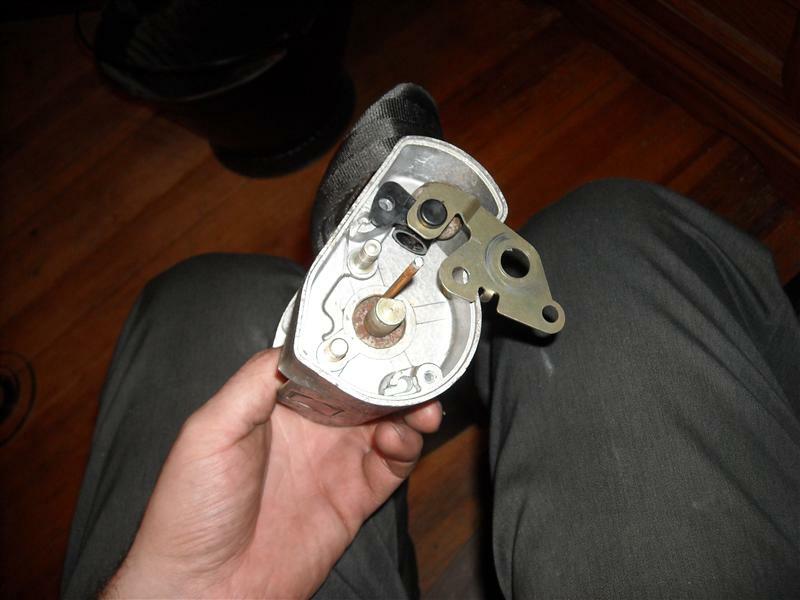 If the inspection of the spring had shown it to be good but just needing tightening then we would have left the spring side alone, and at this point all that would remain is to pull this pin, wind the center pin more to tighten the spring, then re-insert the pin so the belt will be retracted. While you have the side open, be sure not to lose the free moving rounded plastic cap. 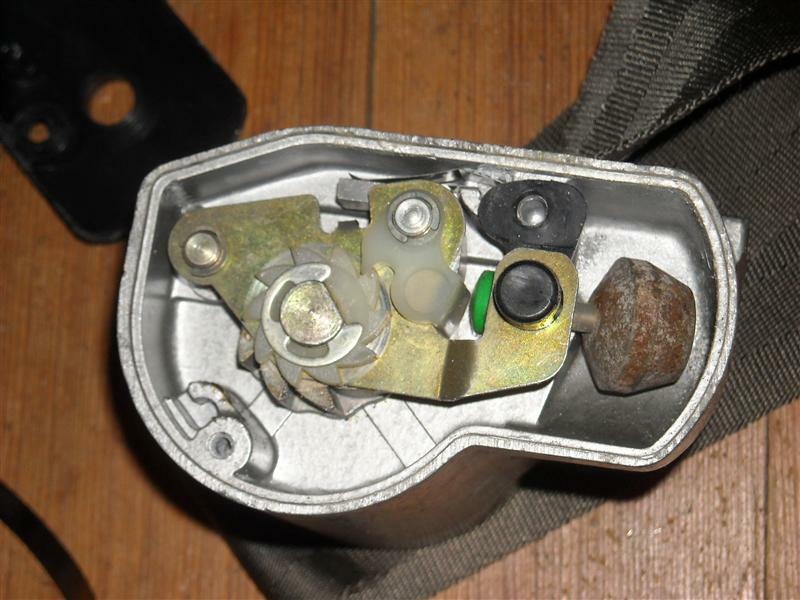 This is pushed by the inertial weight into the plastic gear tooth to cause the binding in case of an accident. Do however pull it out and make sure the inside of the plastic tube is clean and smooth, as this cap should be able to move smoothly and freely up and down for safety and proper functionality of the seat belt. 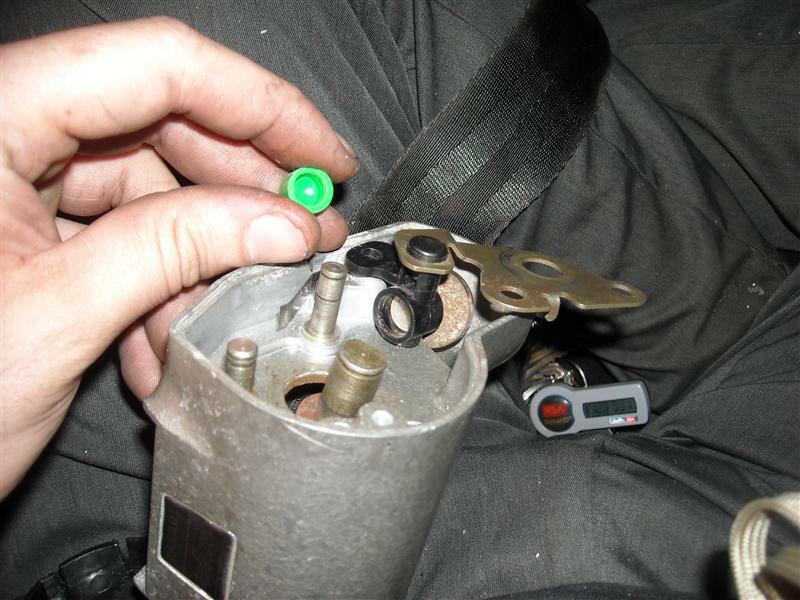 Using a pair of pliers pull the pin out so that the seat belt can slide freely around the center shaft. If you've removed the spring, then you can inspect the webbing loop and pull the shaft out completely and give everything a good cleaning. 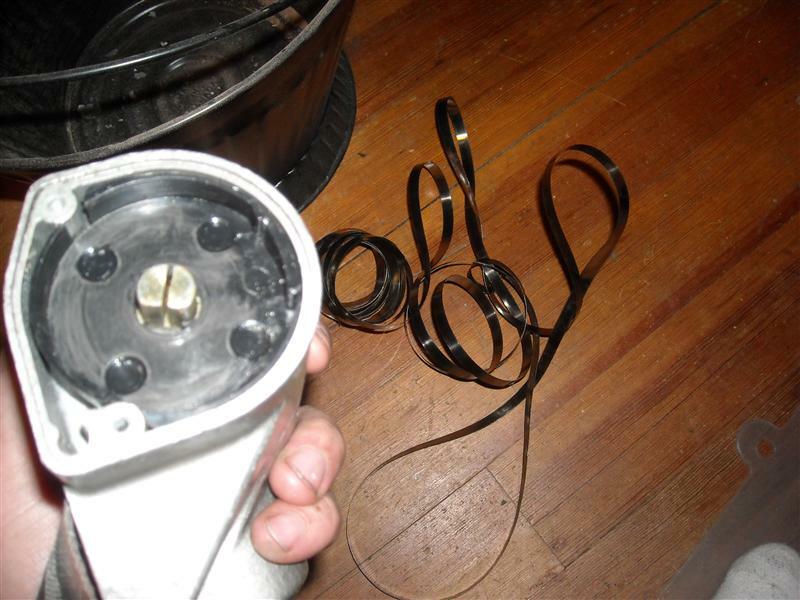 Pull the two bushings, one plastic and one metal, off the center rod and clean the outside edges of them, these act like bearings so any corrosion or buildup needs to be removed for smooth operation. I used 000 steel wool to clean all the parts before re-assembly. Next is the time consuming and tricky part, rewinding the spring. Unfortunately I do not have a good photo of this, because I didn't have enough hands to do so. Excellent Justin, how about submitting this to the members only tech section? What do you mean by Members only tech section?? Have you done that before, or did you just dive in and figure it out? Seems you know a lot about seatbelts. Link at the top of this page. There are many excellent tech articles listed in there. Justin.......if you're going to be this good documenting stuff, it's time for you to get a web site where you can keep a running account of all your work. Most of us started our sites as a way of remembering what we were doing as we took things apart and put them back together. At the time we didn't realize that we could actually be helping others. It can be a lot of work but it's also a lot of fun. Oh FID.........I think you've got a complete 6-Pack Magazine article here! Weeber - I had no idea what I was getting into. The reason I had so many photos was because i wanted to be sure I could get things back together. I'm an engineer, so once I got it open, it was easy to figure out what the purpose of all the parts was though. I have re-wound springs for various other things before though. Bob - I'm definitely going to have to add a page to my website (which is in BAD need of updating) for the TR6. I try to be thorough like this with everything I do. And my philosophy with my camera is the same as my philosophy with a paintball gun.... take enough shots and you're bound to get something good. As I said before....that's one of the great things about this forum. So many people, so many backgrounds. Great documentation Justin, thanks for posting it. Thanks for taking the time to document and explain the process, Justin! This is a job I've been meaning to tackle. I last attempted it circa 1989, but the spring jumped. I caught it when it was part way out, managed to get it back in and gave up. I bought a set of used replacement Kangols in good shape, but now those need attention too. Something else I need to do :shock: , and now I know how! Thanks for documenting this Justin! I think you could probably sell your services to most members here for this job, and pay for the rest of your restoration! This is a great write up, and it's helpful for us to know what's inside those Kangols. I do feel the need to point out that the webbing in our cars is OLD, it has been exposed to the sun, and has lost much of its original strength. 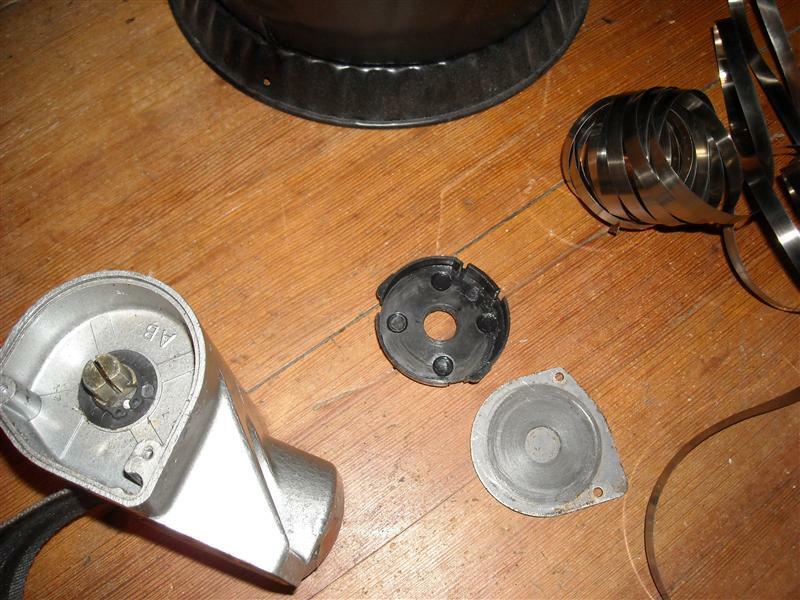 If you are going to go to the trouble of taking these things apart, re-web them with fresh belt material. Even if you can't see any wear, I assure you the belts aren't what they used to be. 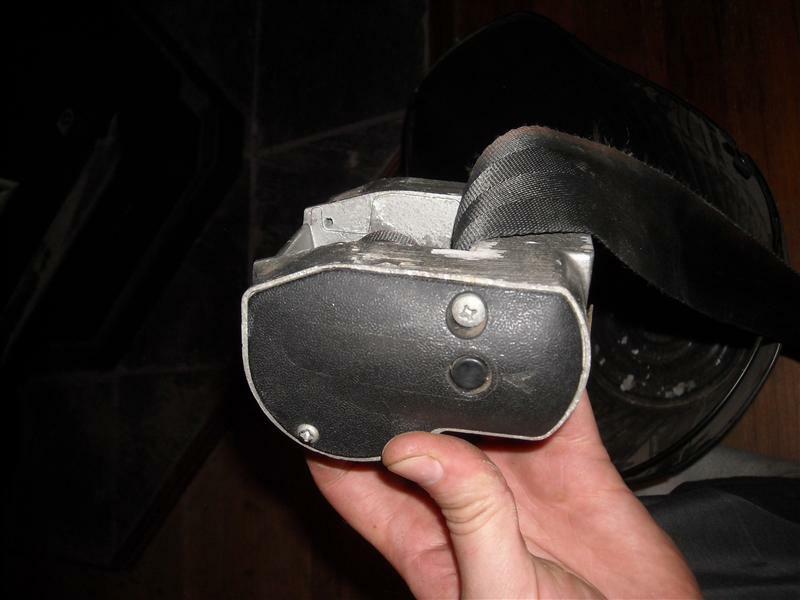 This is why racers are required to replace their belts every couple of years. Welcome to 6-Pack, Justin, and THANKS. I wonder where you can find new webbing? You just need someone to sew properly, whatever that is remember it is a safety related job! !